For the past few years, I've shared my goals for the new year. 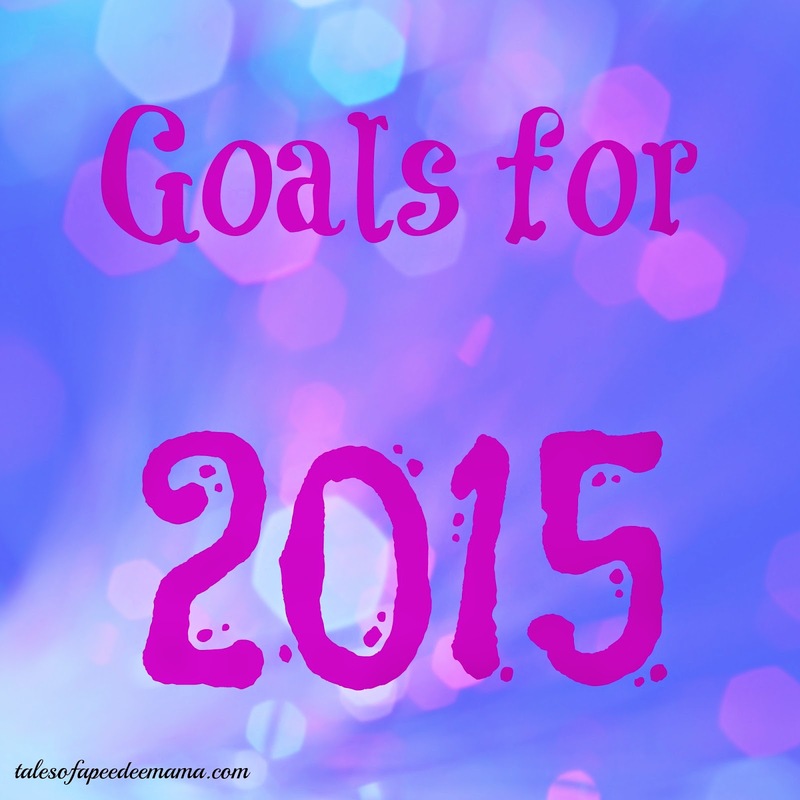 Each year I list a TON of goals, and each year I only finish a small handful of those. I struggle with following up on those goals throughout the rest of the year; usually I only look at them during the month of January and then forget about them. This year I'm going to focus on just a few goals for a month at a time. At the end of each month, I will evaluate how I did and decide which goals I need to work on for the next month. 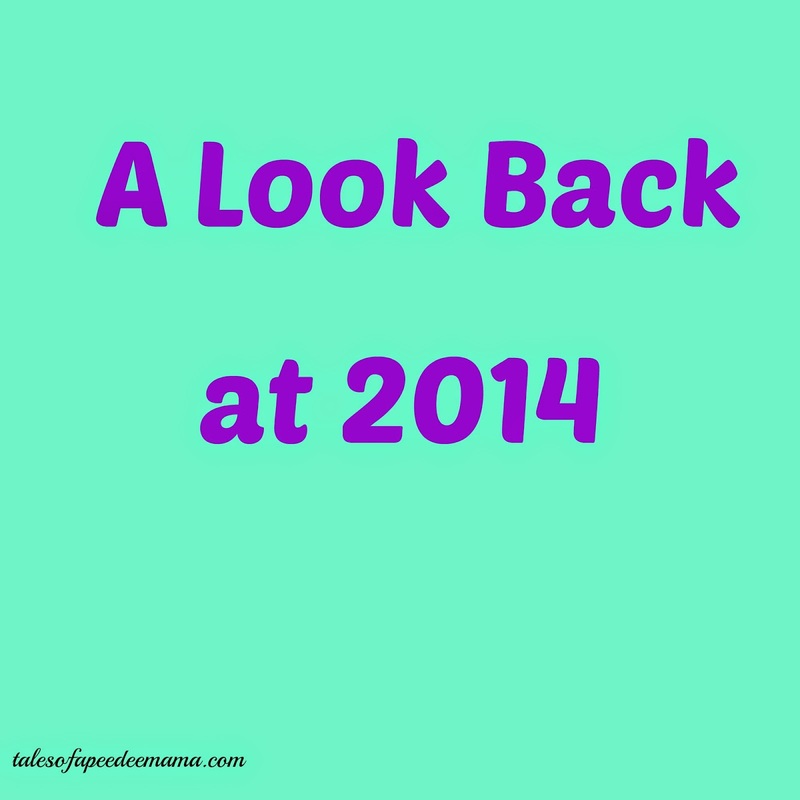 The year is coming to an end, and I wanted to take a look back at some of the top posts from 2014 here at Tales of a Pee Dee Mama. 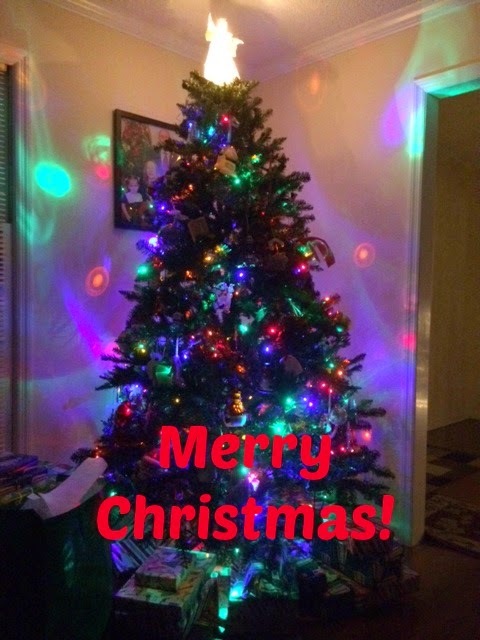 There were so many fun things that I was able to do with my family and share here. There were also some great new recipes and new homeschooling friends. 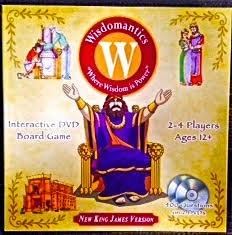 We love board games at our house, so when I was given the opportunity to review Wisdomantics, an Interactive DVD board game, I was super excited. I recently joined The Old Schoolhouse Review Crew, and I'm so excited to share with you the first experience I've had as a Crew member. Members of the Crew were given a Yearly Membership to SchoolhouseTeachers.com to review. All I can say is - AMAZING! There are so many incredible resources at this Christian homeschool curriculum site. I know it's cliche, but I'm a big fan of not reinventing the wheel. Now I don't have to when I want to supplement what I'm already using for curriculum. 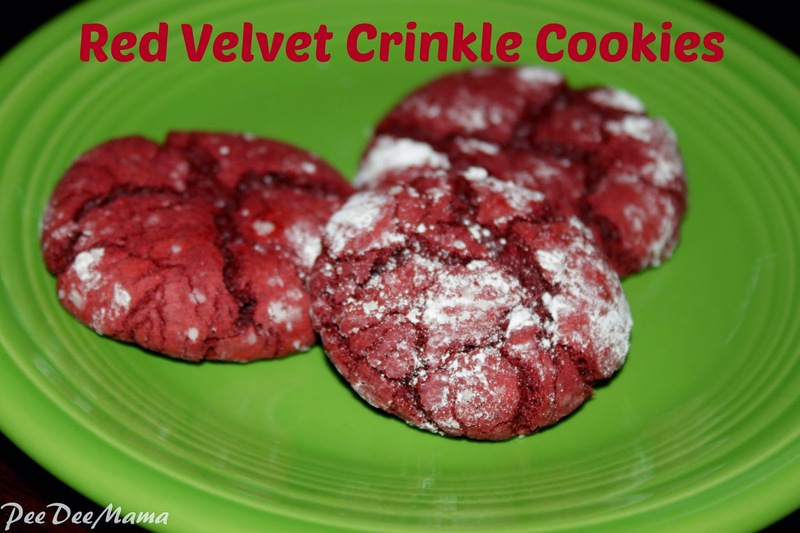 I wanted to try a new recipe for Christmas this year, and I found this one on the side of the red velvet cake mix box. We loved them so much that I'll be making a double batch this week. In our study of geography, we've made it to Europe. We learned that in parts of Europe where the climate is hot and dry, sunflowers are a popular farm product. To go along with this study, I was given a chance to review Sensational Sunflowers e-book for the Schoolhouse Review Crew. It was perfect timing. 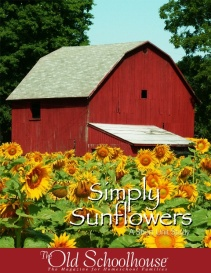 The Sensational Sunflowers e-book can be found at The Old Schoolhouse for $4.95, a great price for the activities in it. Each year, we get the small people one ornament. When they were very small, the hubby and I chose ones that matched their likes or personalities. Now that they're older, I let them choose their ornament. Back in May, we made the decision for Ballerina to leave the dance company she had been with for the past 5 years. 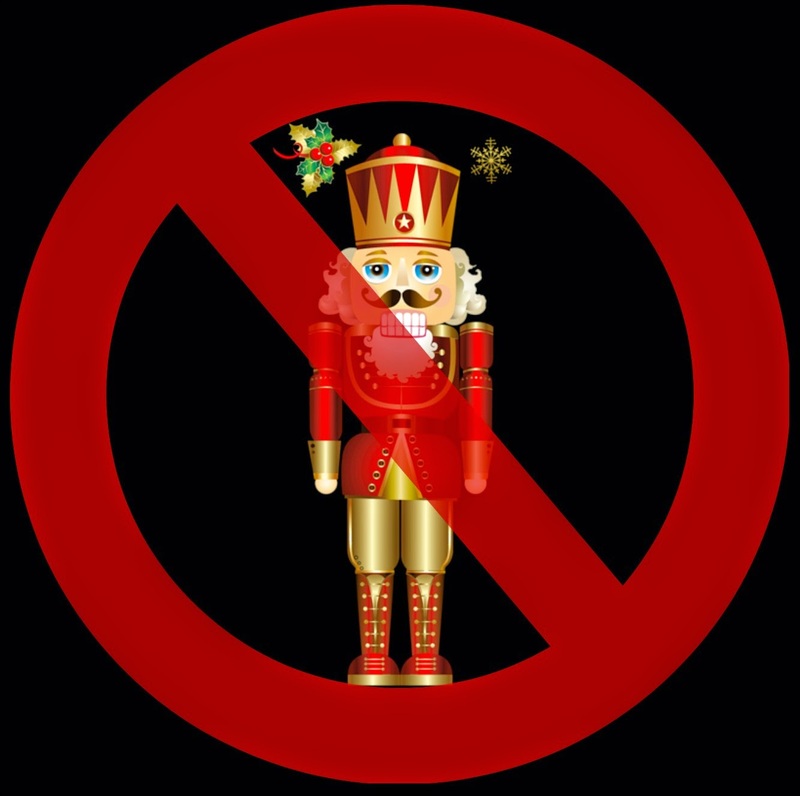 For 5 years, October and November have been completely taken over by Nutcracker rehearsals. Here are pictures from last year's Nutcracker. Welcome to Homeschooler Spotlight. Each week I feature a different homeschooler and her blog. This week is Jen from Chestnut Grove Academy. She's sharing how to piece your own curriculum. I am having a hard time believing that Christmas is right around the corner. 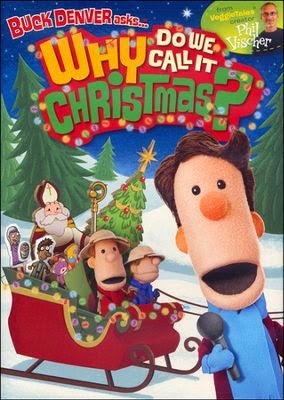 I had the opportunity to review the DVD Buck Denver Asks...Why Do We Call It Christmas? I was excited to start watching Christmas movies. Everywhere I look, I see small people completely entranced by screens. In my home, in restaurants, at the ball field. Yes, even at the ball field; usually the siblings of those playing are busy watching a screen instead of the game. 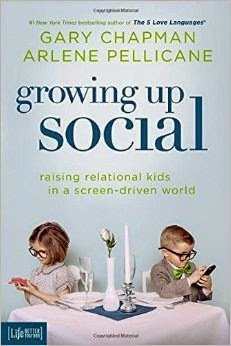 Growing Up Social by Gary Chapman and Arlene Pellicane addresses how we can raise our kids to be relational, even in a world dominated by screens. 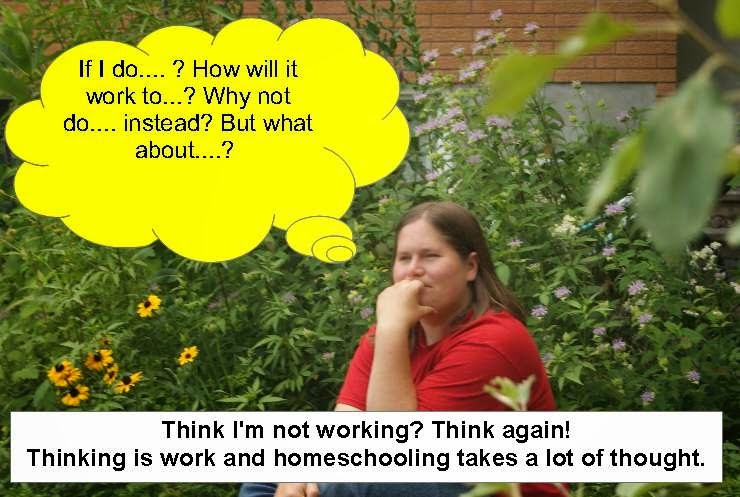 Welcome to Homeschooler Spotlight. 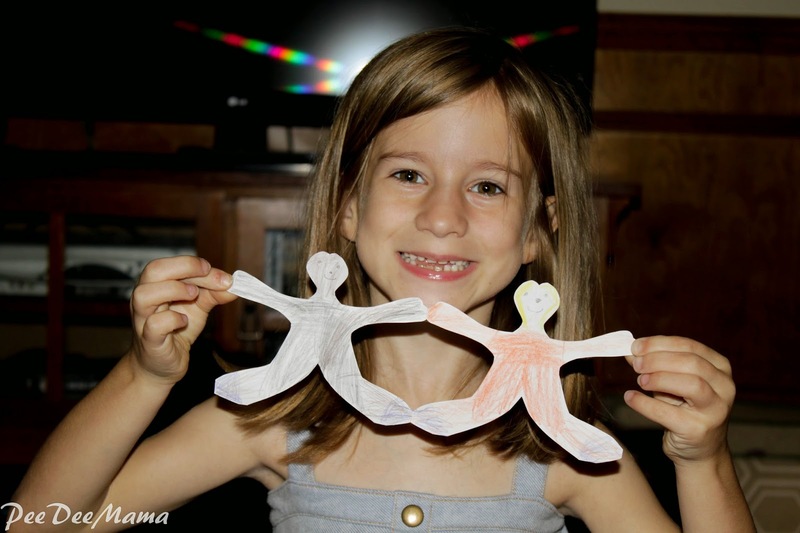 Each week I feature a different homeschooler and her blog. 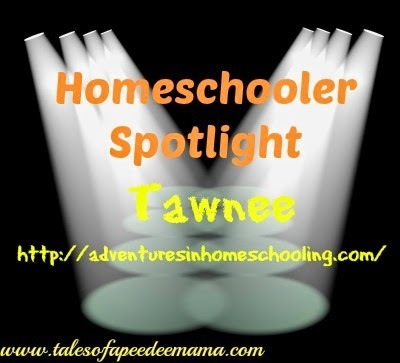 This week is Tawnee from Adventures in Homeschooling. She's sharing about one of the biggest worries all homeschoolers have - Are we doing this right? I think it is safe to say that this has been the craziest soccer season our family has experienced. Welcome to Homeschooler Spotlight. Each week I feature a different homeschooler and her blog. This week is Karen from Tots and Me. She's sharing how to stretch your food budget with throw-together stove-top casseroles. Who doesn't want a better marriage, especially one built on biblical values? 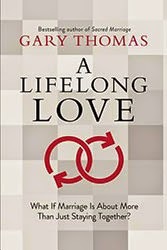 Gary Thomas' A Lifelong Love shares how to make your marriage more than just being married for life but instead to make it a lifelong love. Welcome to Homeschooler Spotlight! Each week I feature a different homeschooler and her blog. 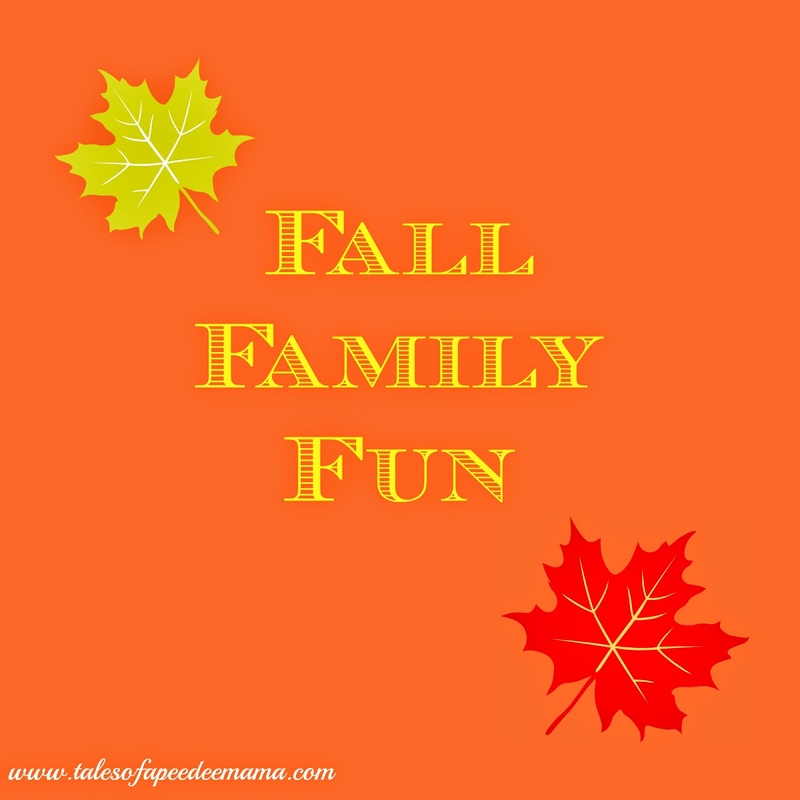 This week is Deana from The Frugal Homeschooling Mom. She's sharing about pleasing God rather than people. I realize it's probably been fall for many of you for weeks now. Here in South Carolina, though, fall is just beginning. We've just seen the beginning of crisp, cool mornings. The leaves on the trees in my yard are still green, but I know they'll be turning color any time now. Go for a hike in the woods to see the changing colors. Make a fall popcorn tree. Make coffee filter fall leaves. Make chocolate chip pumpkin bread. Make pumpkin chocolate chip cookies. Watch Charlie Brown Halloween and Thanksgiving specials. Watch Macy's Thanksgiving Day parade. Go on a fall nature hunt. Make chocolate chip pumpkin spice cake. My mom passed away almost 10 years ago from breast cancer. I still remember when she first received her diagnosis 11 years prior to that. I had just graduated college. I was old enough to understand what she was going through, or at least have a general understanding. I don't think I'll ever truly understand all of her emotional and physical turmoil through that time, unless I also develop cancer. Welcome to Homeschooler Spotlight! Each week I feature a different homeschooler and her blog. This week is Dawn from Double O Farms. She's sharing about Mommy guilt and worry. 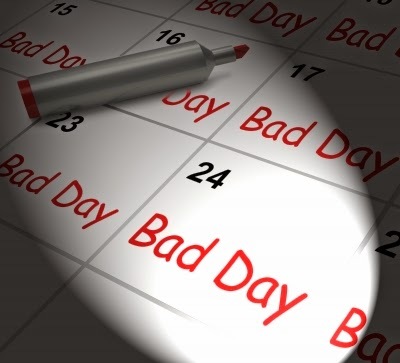 One of my all-time favorite children's books is Alexander and the Terrible, Horrible, No Good, Very Bad Day by Judith Viorst. On Saturday, I felt like I was living out that book. Welcome to Homeschooler Spotlight! Each week I feature a different homeschooler and her blog. This week is Meg from Adventures with Jude. She's sharing tips for choosing the best program for your student. 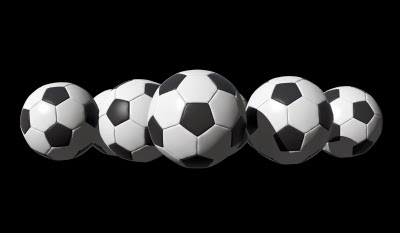 For the past 11 years, I've been a soccer mom. At least 3 days a week, I have small people at soccer practices. Every weekend usually means at least 1 soccer game, sometimes as many at 12 among all 3 soccer players. I'm used to my soccer mom status. I've even come to embrace it. Technically I've been a softball mom for a couple of years now. Sassy and Little Red both started playing in spring 2012. Sassy's played 2 spring seasons of t-ball, and Little Red has played 2 spring seasons of coach pitch. 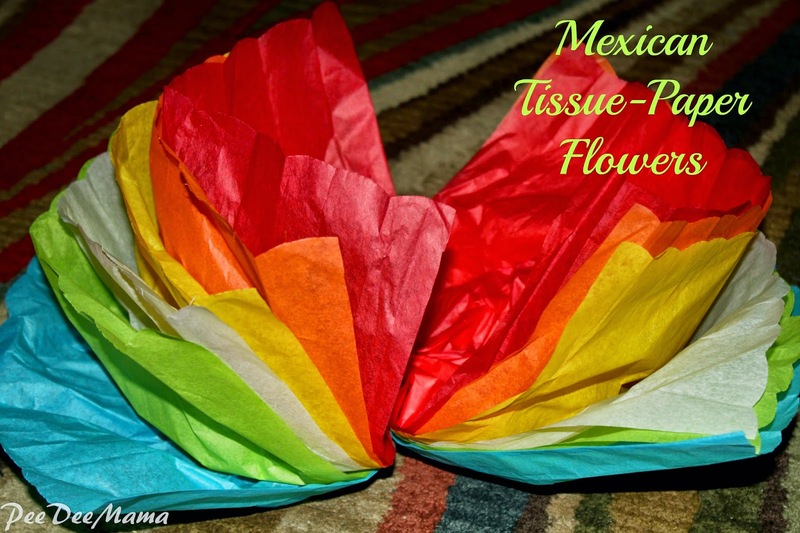 To finish our study of Mexico, the girls made Mexican Tissue-Paper Flowers. These were a lot of fun to make, and you can use a variety of colors or make them solid colored. Welcome to Homeschooler Spotlight! Each week I feature a different homeschooler and her blog. This week is Selena from Look! We're Learning! She's sharing how she homeschools as a mom with ADHD. 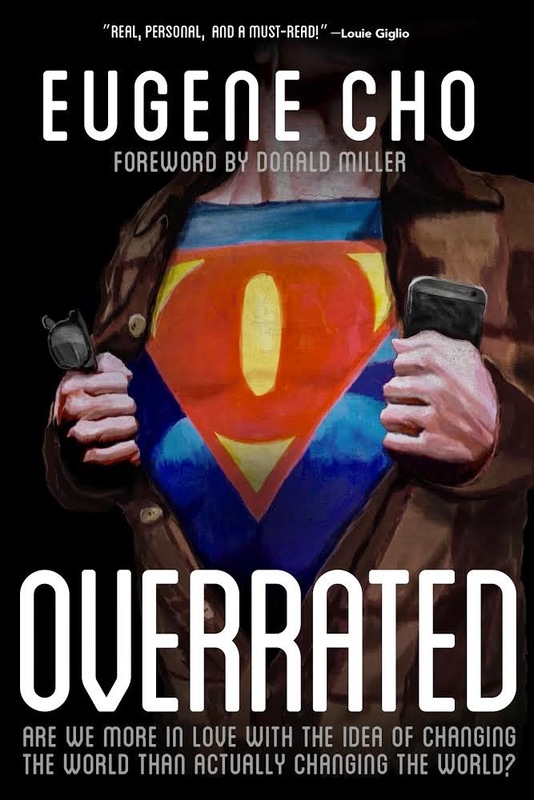 When I was asked to review Eugene Cho's book Overrated, I was intrigued. Today's culture talks a lot about changing the world; in fact, President Obama campaigned on a platform of change. The question Cho poses - Are we more in love with the idea of changing the world than actually changing the world? - is definitely worth investigating. 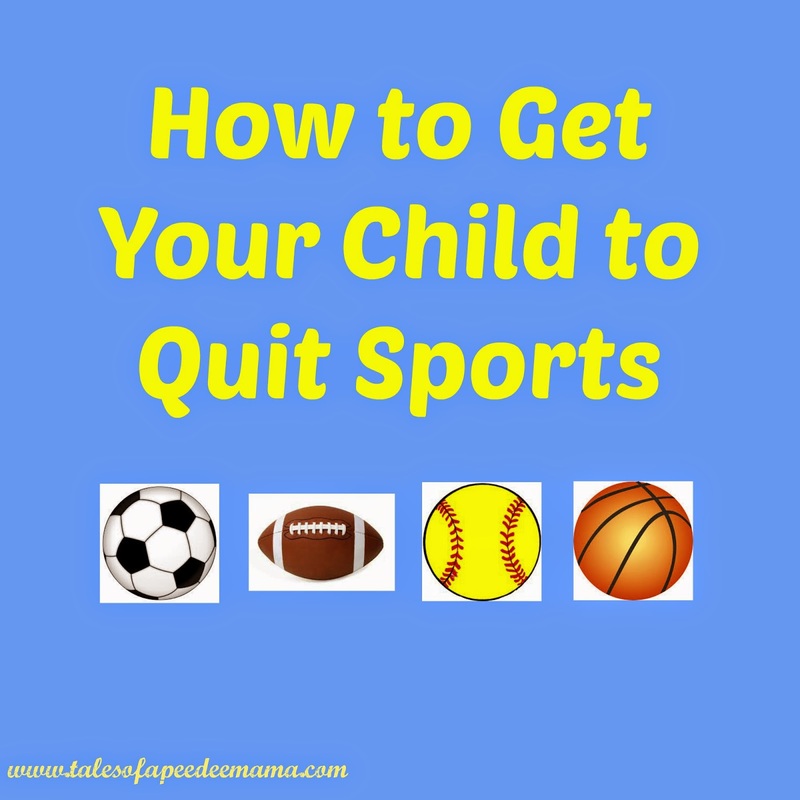 35 million children play organized sports every year. 70% of these kids will quit playing by age 13, never playing again. I have some tips if you want to help your child be part of that 70%. Welcome to Homeschooler Spotlight! Each week I feature a different homeschooler and her blog. This week is Charity from Giggles and Grimaces. She's sharing how she homeschools while living with Bipolar Disorder. Welcome to Homeschooler Spotlight. Each week I feature a different homeschooler and her blog. This week we have Joyice from Raising Boys Homeschool. She's sharing 7 Questions Concerning Curriculum. After studying the United States, our geography study traveled to Mexico. 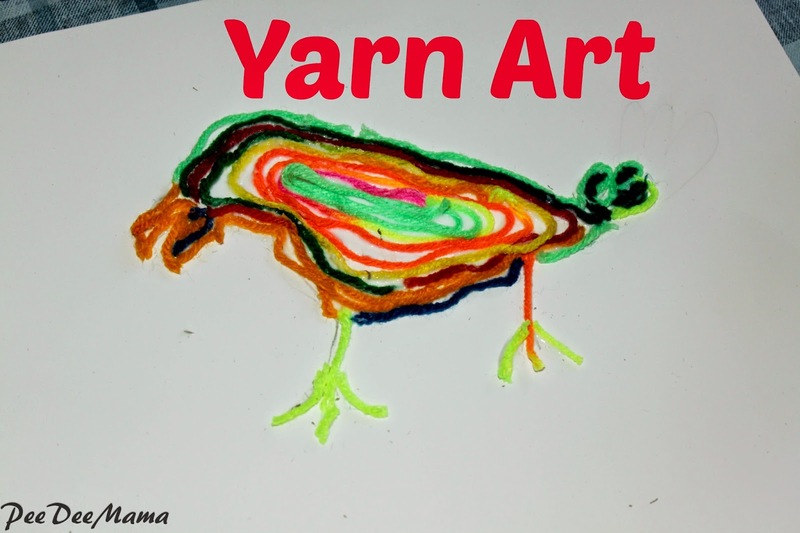 Our first project was to do Yarn Art. Welcome to Homeschooler Spotlight. 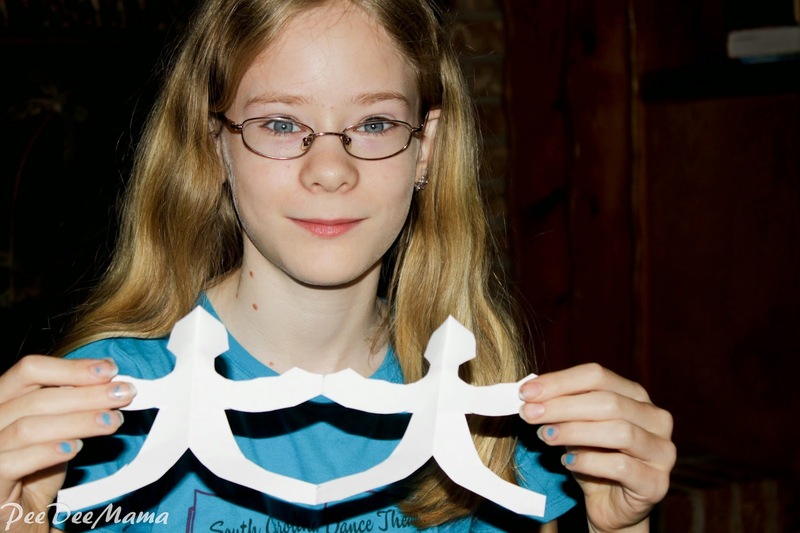 Each week I feature a different homeschooler and her blog. This week we have Misty from Finding Joy in the Journey. She's sharing her favorite NOT back to school tradition. The first stop the girls and I are making on our geography study is the United States. Our first project for this study was to do Navajo Sand Paintings. Welcome to Homeschooler Spotlight. 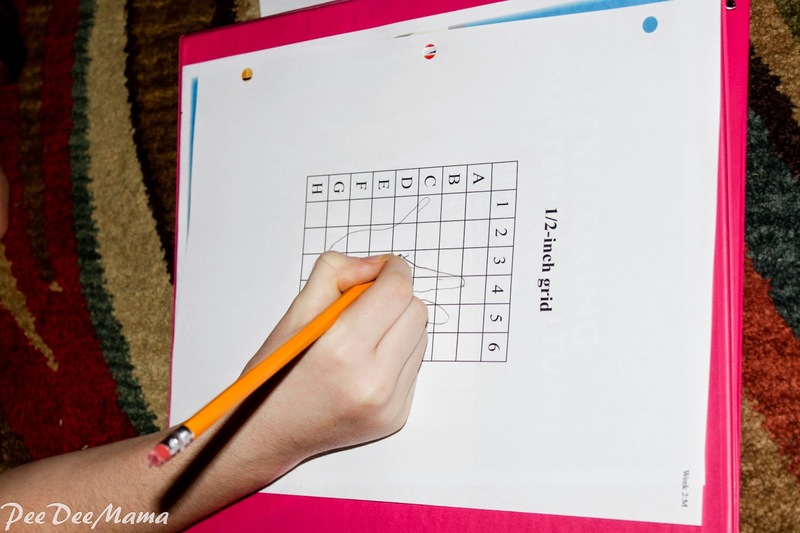 Each week I feature a different homeschooler and her blog. This week we have Laurie from Inspiring 2 NH Kids. She's sharing a fantastic quick and easy recipe. Are you familiar with the Boxcar Children books? My older girls love reading them. Now there's a movie that you can order from Walmart or win your own copy below. We read the first book in the Boxcar Children series as a read-aloud for school a few years ago, so watching the DVD version with the small people was a lot of fun. I especially like that it is Dove Approved for all ages. Ballerina, my resident bookworm, absolutely loved how it stayed fairly true to the book. Little Red and Sassy also enjoyed the DVD; in fact, Little Red said that now she may actually try to read the books. Anything that encourages my small people to read is a plus. You can learn more about The Boxcar Children DVD on Facebook and Twitter. Enter the giveaway below to win your own copy of The Boxcar Children DVD. I mentioned before that the girls are studying geography and cultures this year. To kick off our culture study, the girls made linking paper dolls and illustrated them to represent different cultures. I didn't really think this through before we did the project, so all I had on hand was 8 1/2 x 11 inch paper. 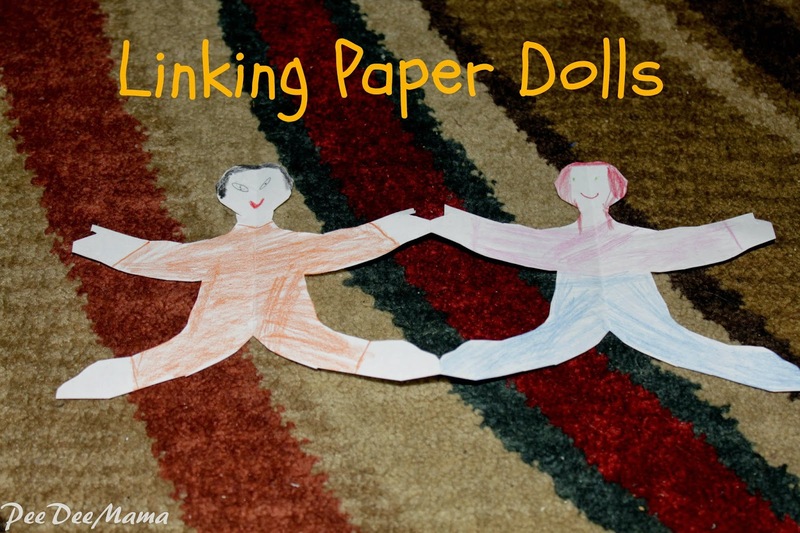 If we do this again, I'll use longer paper so there will be more dolls. 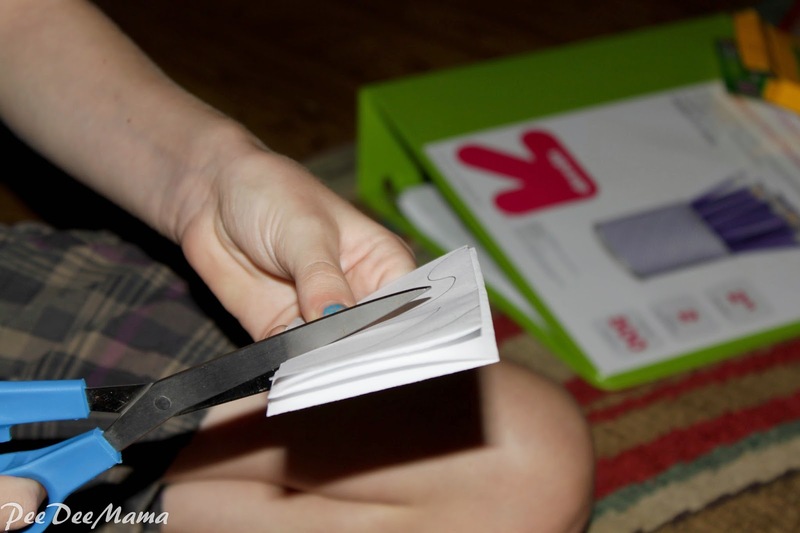 First, I cut the paper in half lengthwise so it was 4 1/4 x 11 inches. Then the girls accordion-folded the paper into 2 inch sections. 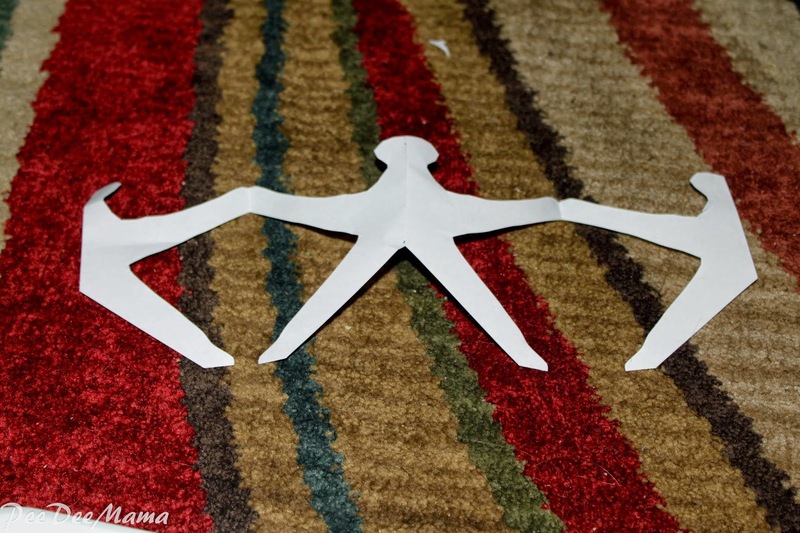 Once the paper was folded, they drew half of a person figure on the paper. 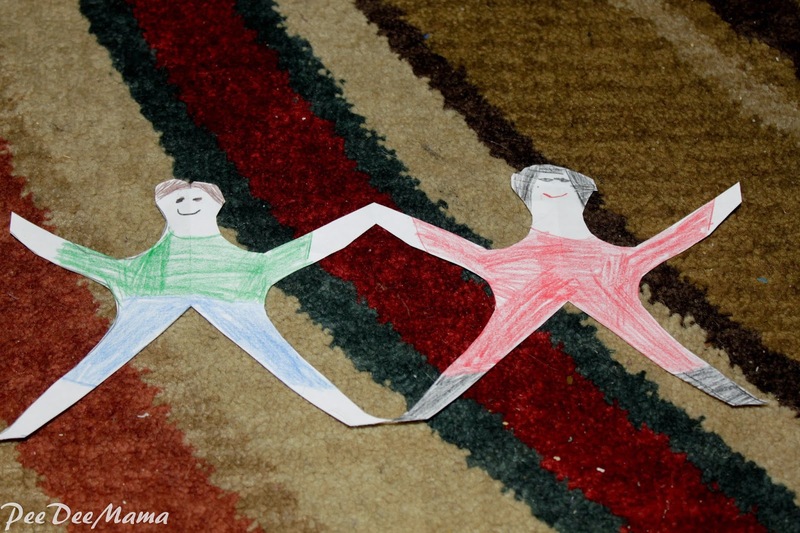 One of the small people learned the hard way that you have to draw the figure against the fold. 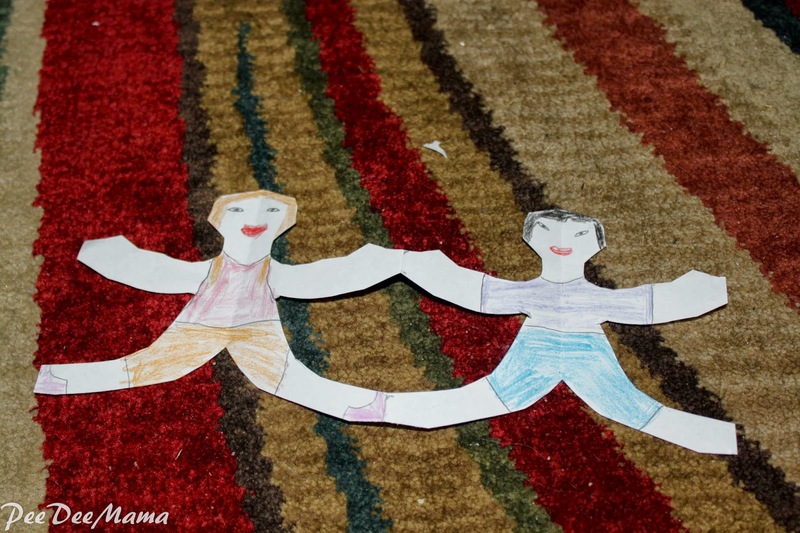 After the figures were cut out, the girls colored them to represent different cultures. This year I'm doing a yearlong geography study with the girls using My Father's World Exploring Countries and Cultures. The first couple of weeks we've spent studying maps - learning about the compass rose, different types of maps (physical, political, and themed), and latitude and longitude lines. We also talked about how maps are drawn to scale. 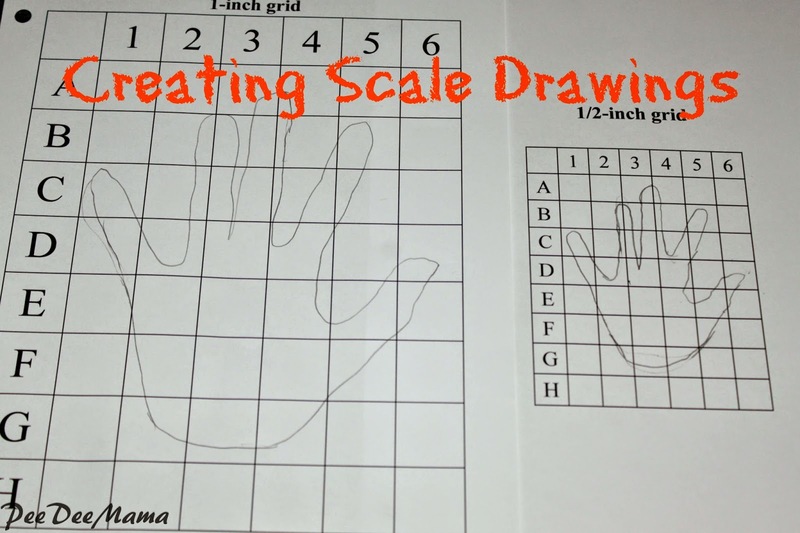 Then to help them understand how scale drawings work, they created their own. 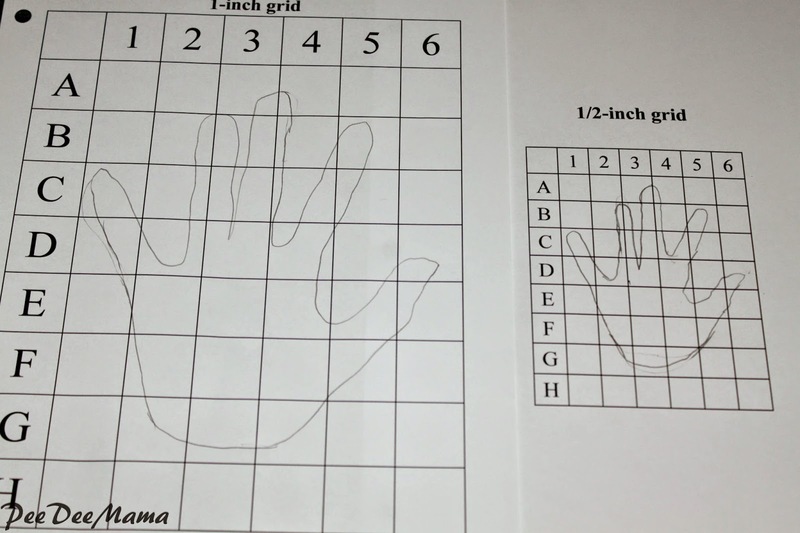 They traced their hands on a grid of 1-inch squares. 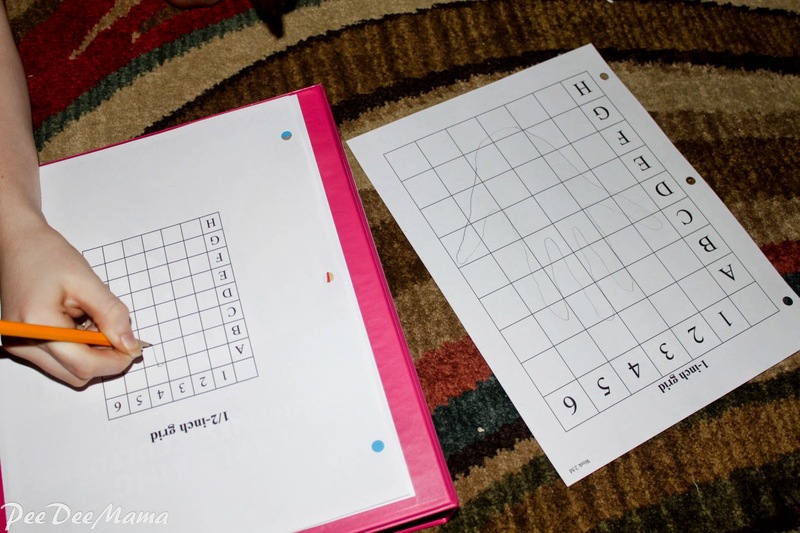 Then they copied that onto a grid of 1/2-inch squares. Sassy had a difficult time understanding how to do that and pretty much just did a free draw on the smaller grid, but she's only 6. The older girls, though, really seemed to understand the concept and did a great job. They were able to see how mapmakers create maps to scale. Welcome to Homeschooler Spotlight. 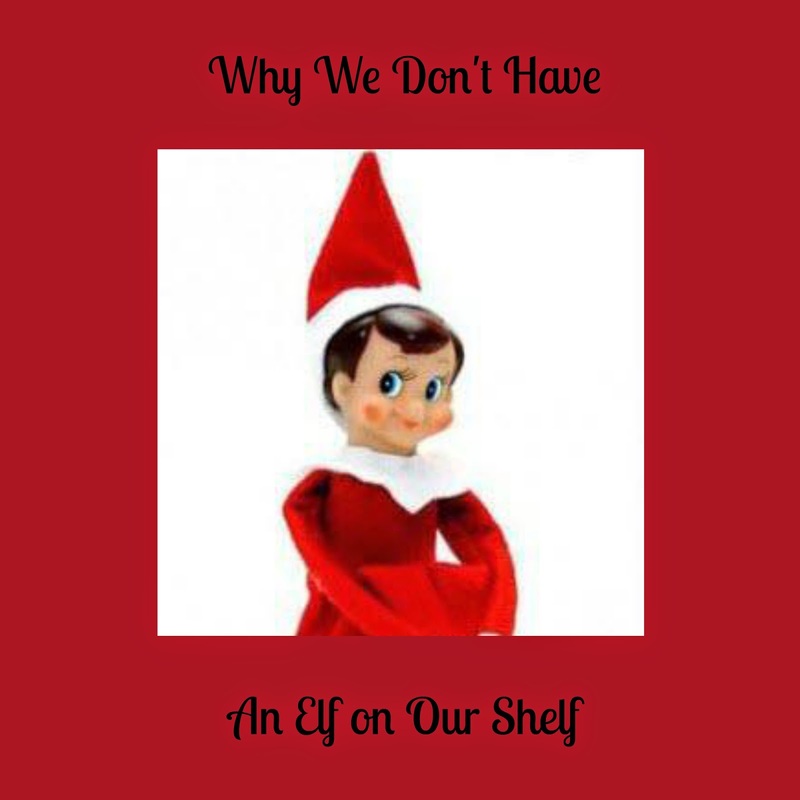 Each week I feature a different homeschooler and her blog. This week we have Christy from Houseful of Chaos. She's sharing how thinking is work too. Christy Knockleby is a homeschooling mother of three. She blogs at http://housefulofchaos.com. I know that I don't have to spend all day working, yet there is a part of me that still wants to feel like I have accomplished something every day. Sometimes the work is taking the kids out for adventures and sometimes it is house cleaning. I have a pretty lose definition of work and count working on my blog as work, or doing the social networking it takes to stay sane. Today though, I realized that thinking is work too. Let me explain a bit about how I realized that. I'm not doing much homeschooling this summer but I do insist that the children do half an hour of schoolwork on any day I ask. If we're busy at the beach or on some other adventure I don't bother asking, but two or three days a week they do their half hour. It allows me to review things with them I don't want them to forget, but more importantly it allows me to test whether things I am planning for the fall will work or not. Yesterday a friend had lent me a copy of the history program she uses, so I could check it out before deciding whether or not to get a copy myself. The program is History Odyssey by Kathleen Johnson, and it uses the Kingfisher History Encyclopedia, which I already own a copy of, so I went ahead and assigned my oldest to do lesson one from the book today. He did the first assignment which involves reading a couple of pages and labeling a map. Then his job was done, and my job of thinking really started. I've been wondering about doing my own history unit study with the kids, but I got bogged down in all the possibilities. One book led to another book until I couldn't picture how I could possibly know enough to teach the children what I wanted to teach them. To sit down and really look at what my children would be doing with a particular other history curriculum helped me put what I was doing in perspective and realize I can do my own unit studies instead if I tame my expectations a bit and keep them a bit closer to the size of the program. Before I can even get around to really planning, I have a lot of thinking to do and that thinking is work too. It is easier to recognize the role of thinking as work when it is done at a place of paid employment, and harder to recognize it when it happens around the house in amongst the day to day distractions of child-raising. Welcome to my newest weekly feature: Homeschooler Spotlight. 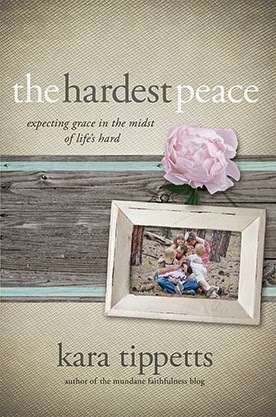 Each week, I will be featuring a different homeschooler and her blog. This week we have Amy from Six More Summers. She's sharing how to set up homeschool while managing ADD.